Description: Bally Balls a Popping pinball, 2 players. 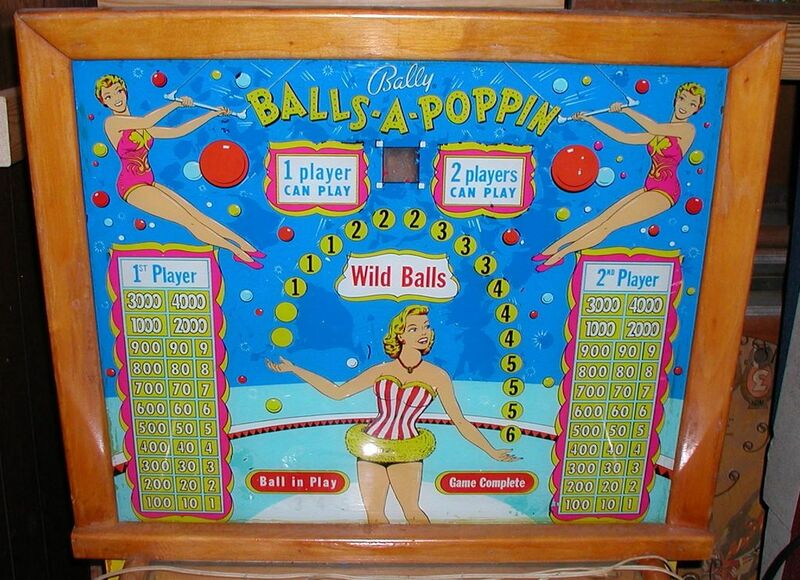 Balls-A-Poppin' was the first flipper machine to feature multiball play. Variable multiball, up to 9 balls. Four rollover buttons advance Wild Ball counter on backglass. A ball landing in the kick-out hole launches all Wild Balls from the left shooter lane, starting multiball. Having multiple balls on the playfield makes for more frequent hitting of the rollover advance buttons and landing in the kick-out hole, therefore a continuous multiball session often can be achieved, lasting a long time. During a game, every rollover and lit bumper causes a small knocker to pop, and this sound becomes very exciting during multiball. Although the backglass Wild Ball counter stops at 6, the game is equipped with 9 balls to allow for a continuous multiball experience. 3 or 5 ball play. 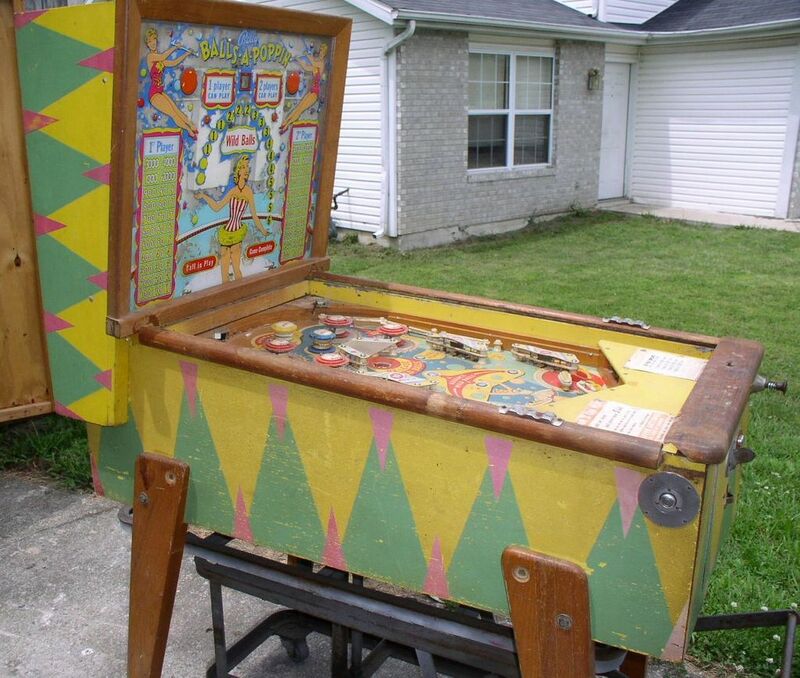 In 1957 Bally made another pinball with the exact same features and layout called Bally Circus (bonus ball counter appears on the playfield instead of the backglass.) 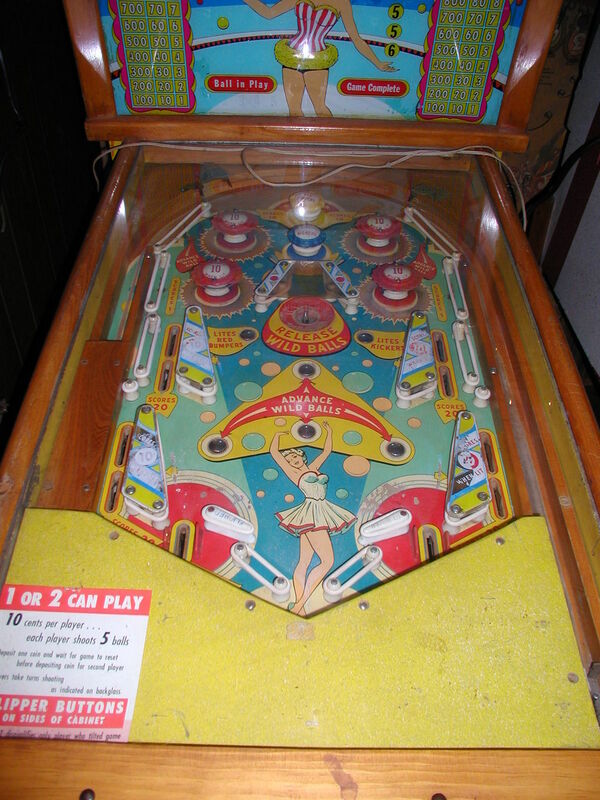 Bally made a third pinball in this series, though not multiball, the 1957 Bally Carnival.